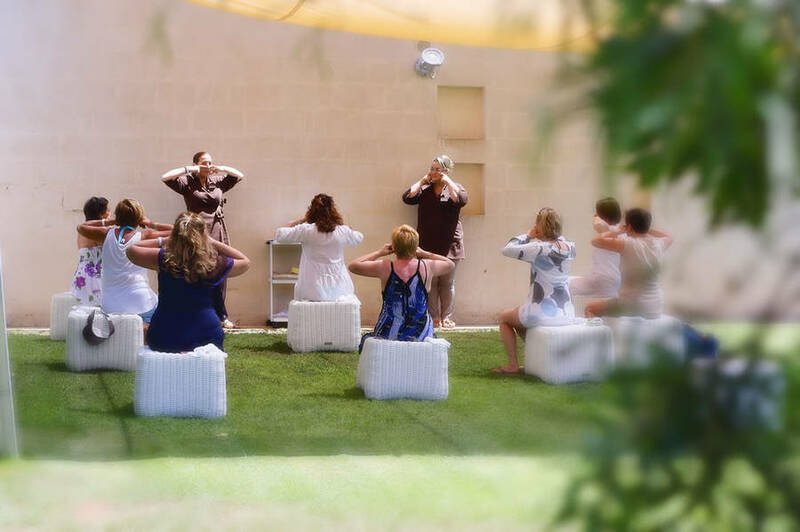 An anti-stress coach to teach you how to relax! 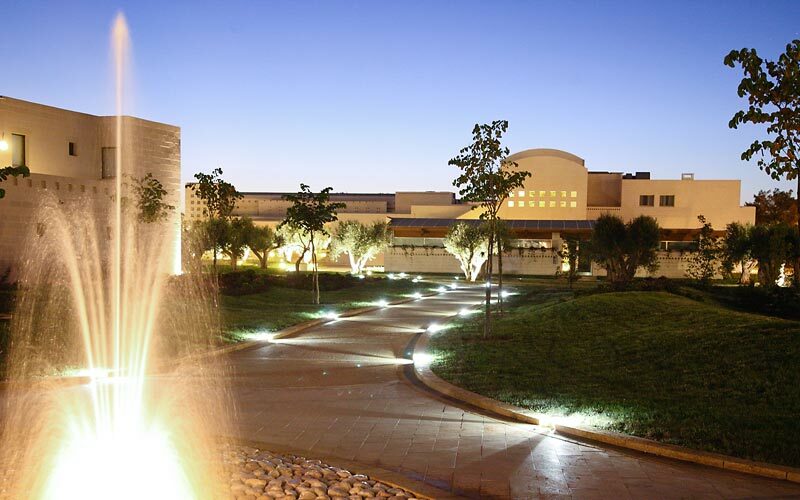 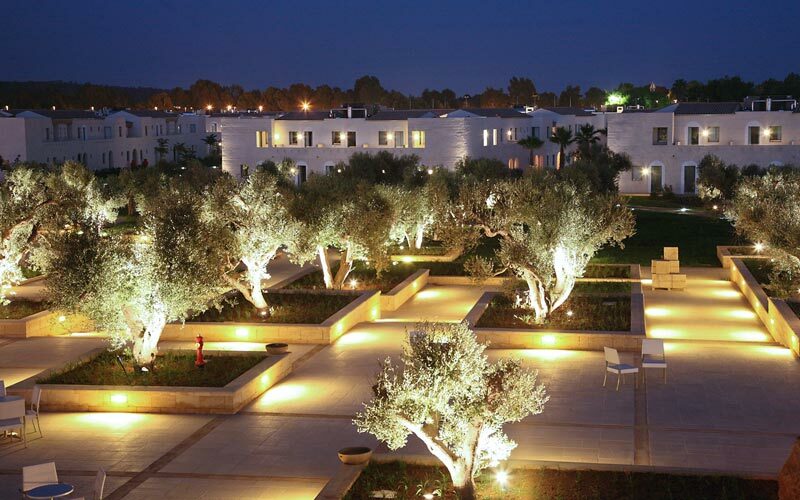 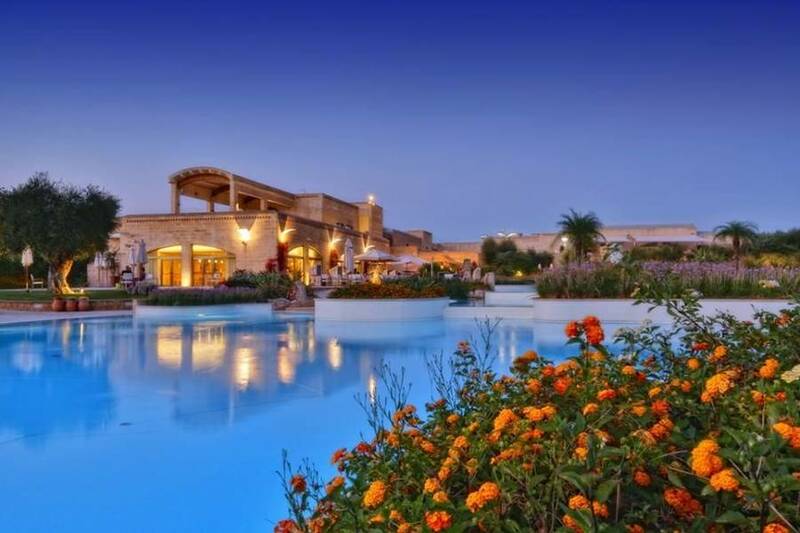 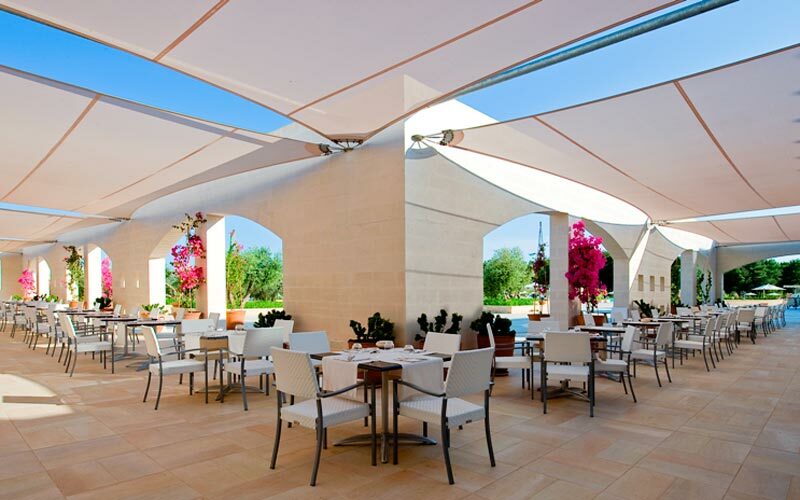 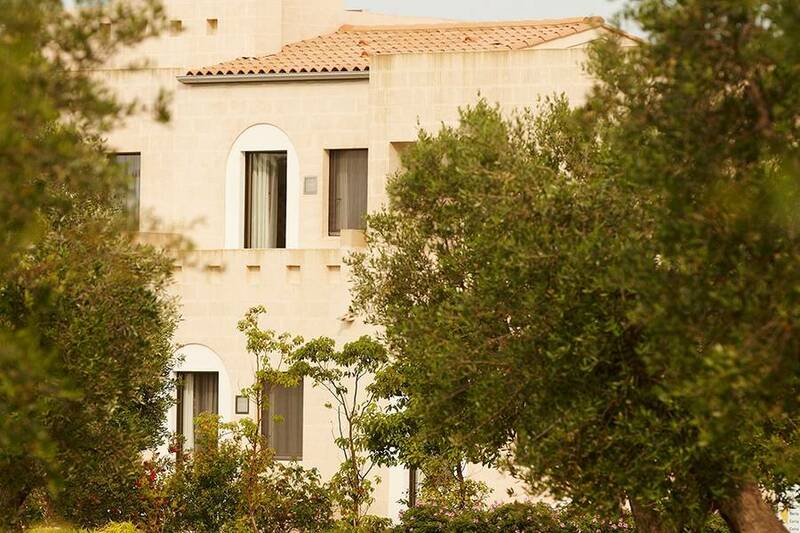 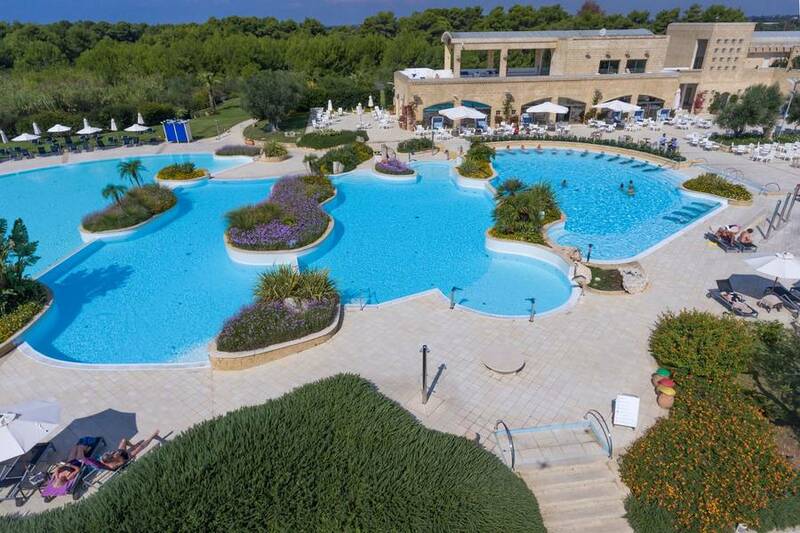 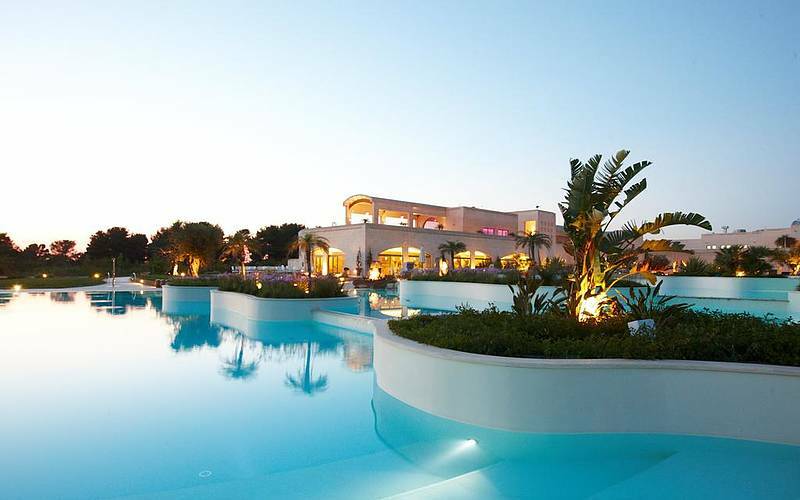 If you're looking for a hotel in Puglia, on the sunny shores of Salento, with a private beach, a choice of restaurants, a spa, swimming pools and, why not, a golf academy too, you'll love Vivosa Apulia Resort - which has the lot! 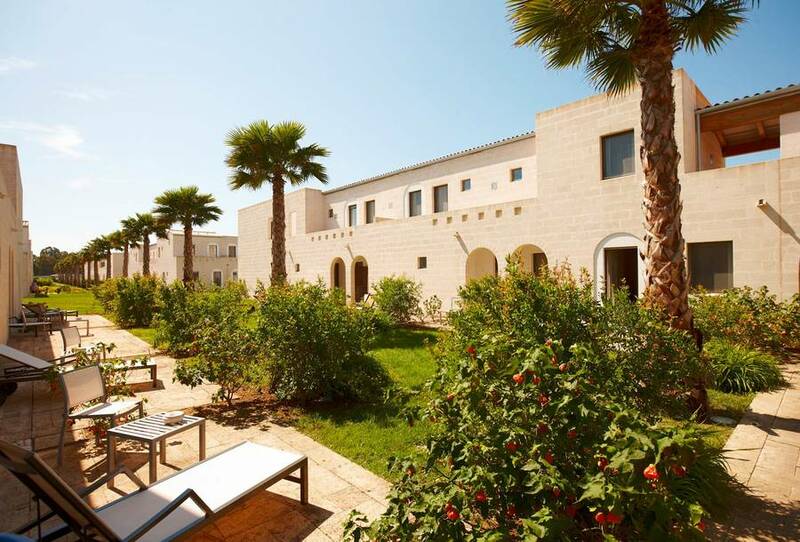 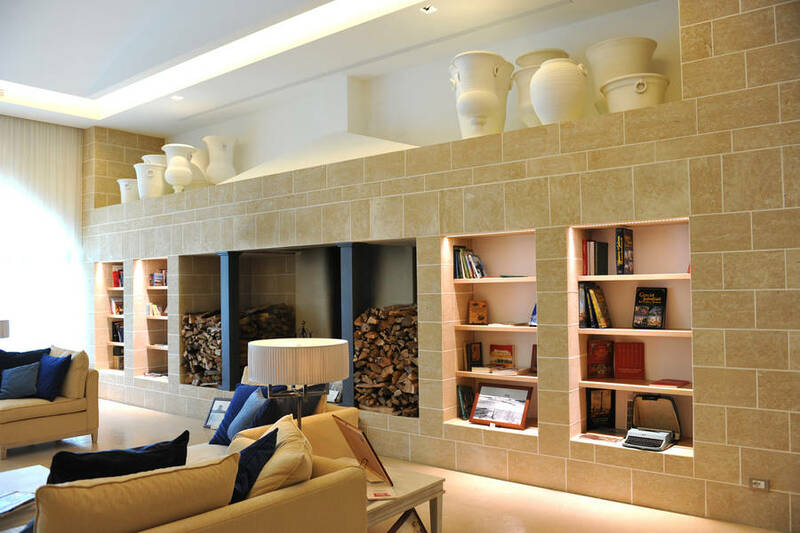 Vivosa Apulia Resort boasts some 330 rooms, distributed in ten residences, built in typical Puglian style using the local sun-bleached stone. 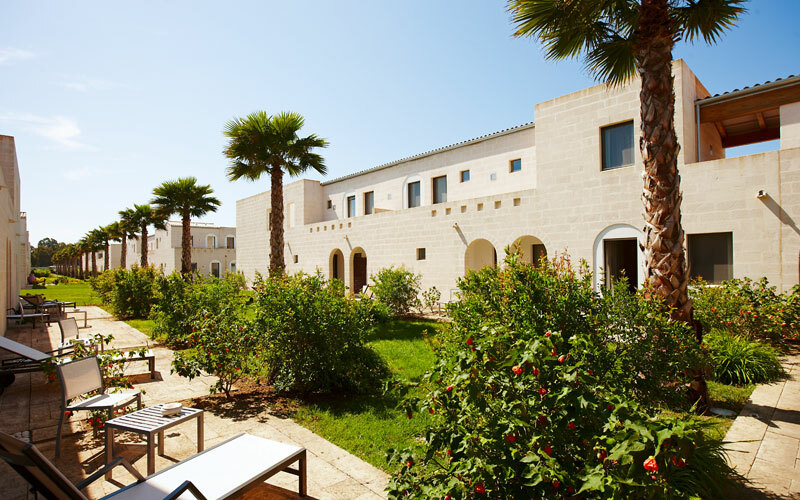 Each and every room opens out on to a balcony or terrace overlooking the hotel's luxuriant green gardens and the Marina di Ugento nature park. 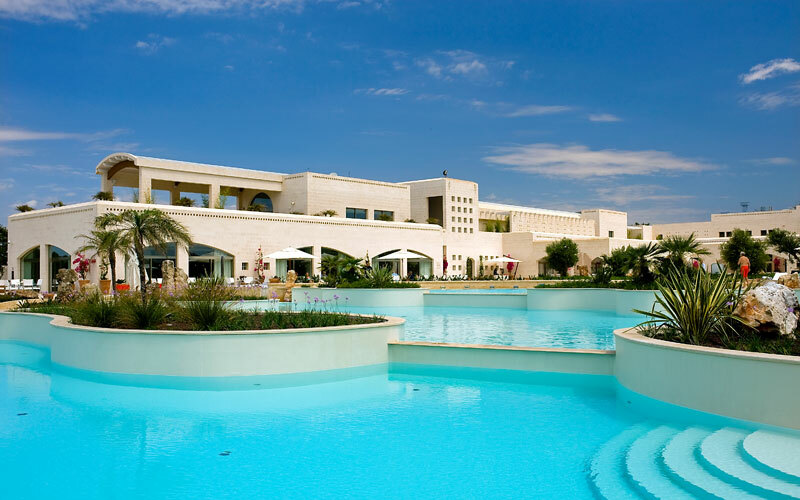 A cluster of Mediterranean pine trees is all that lies between your room and Vivosa Apulia Resort's golden beach and the crystal clear sea for which Salento is known and loved. 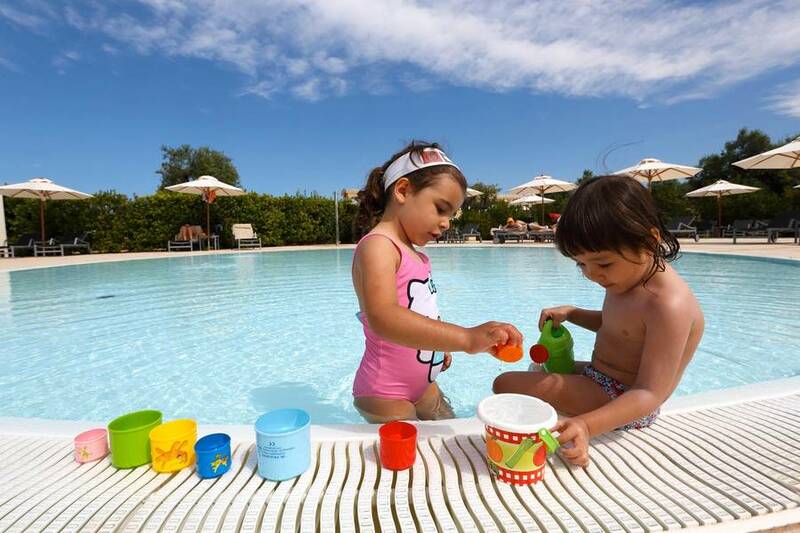 If you'd rather swim in the pool than in the sea, Vivosa Apulia Resort has not one, but four swimming pools, one of which is reserved for children. 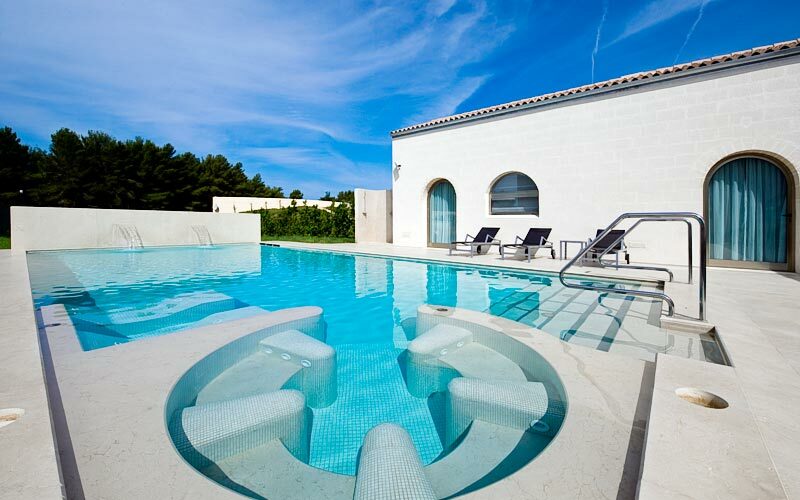 Relax - you're on holiday! 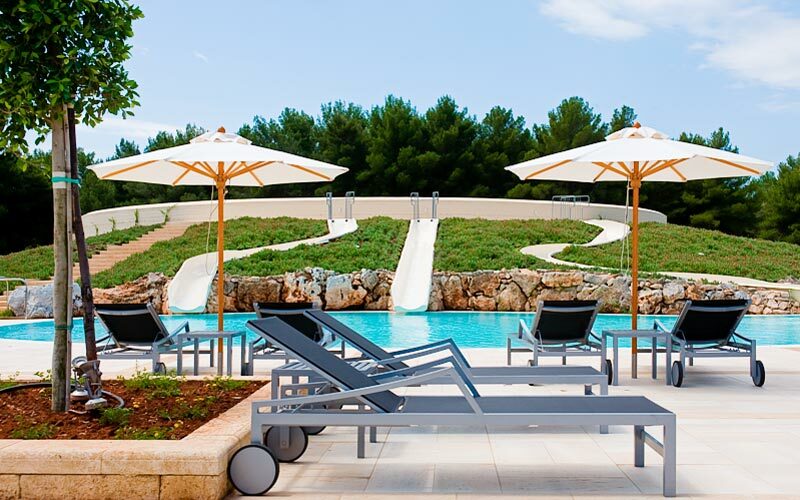 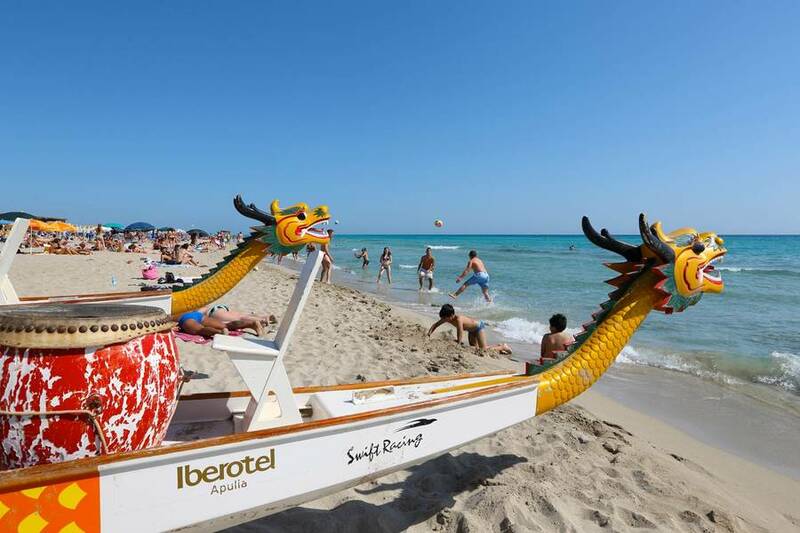 There's no better time to relax and regenerate than when you're on holiday. 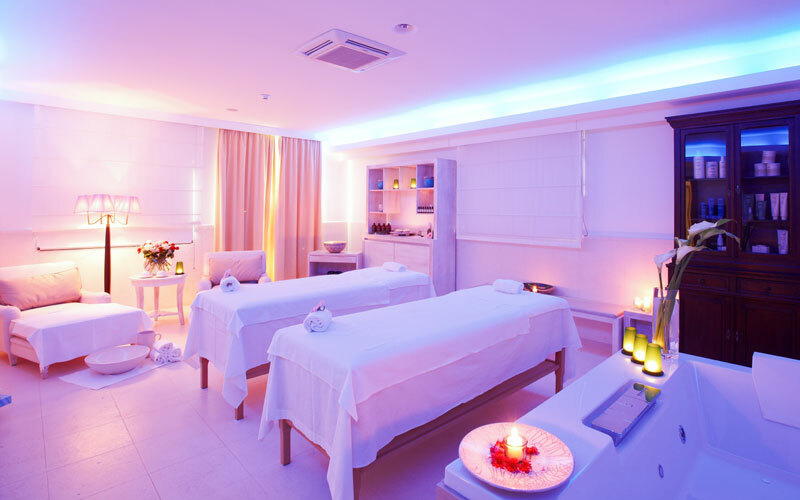 Things which are made all the more easier to achieve when you've got a team of wellness experts at your disposal! 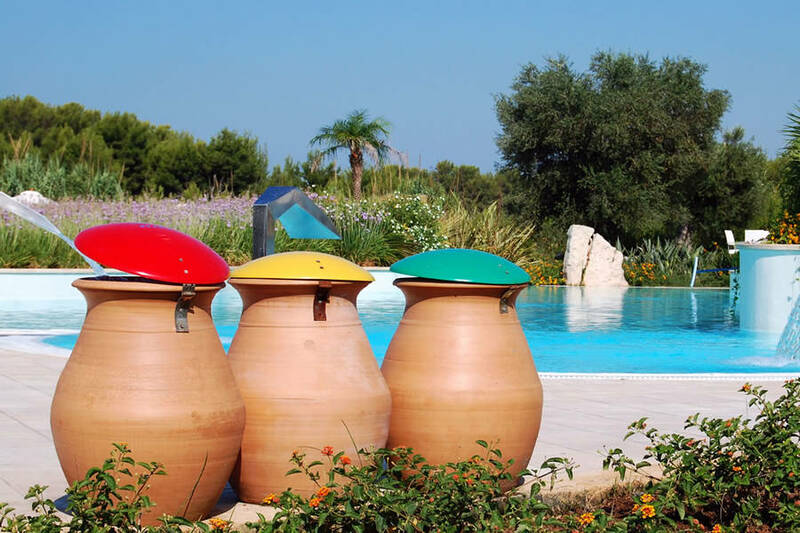 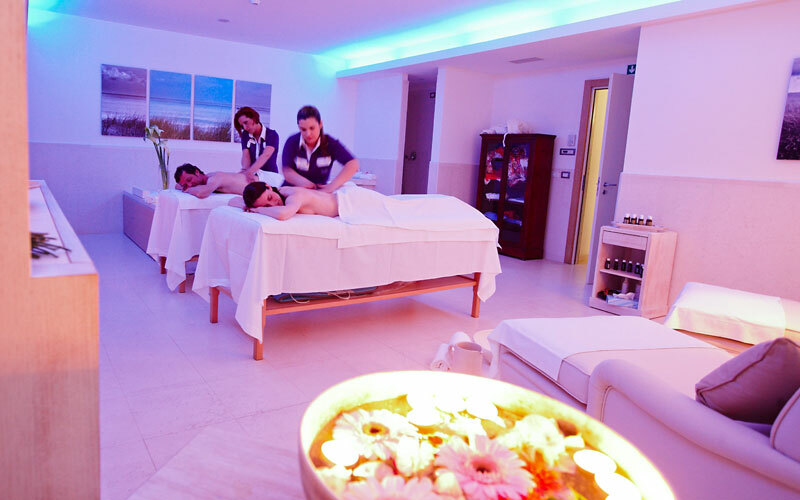 Biosauna, yoga, pilates, Zumba fitness, beauty treatments, Tibetan sound massage: you name it, Vivosa Apulia Resort's spa' s got it! 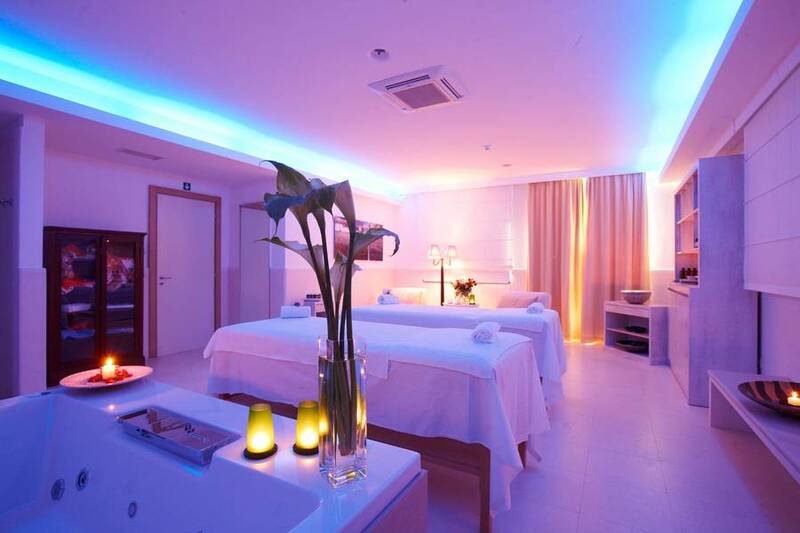 Still can't relax? 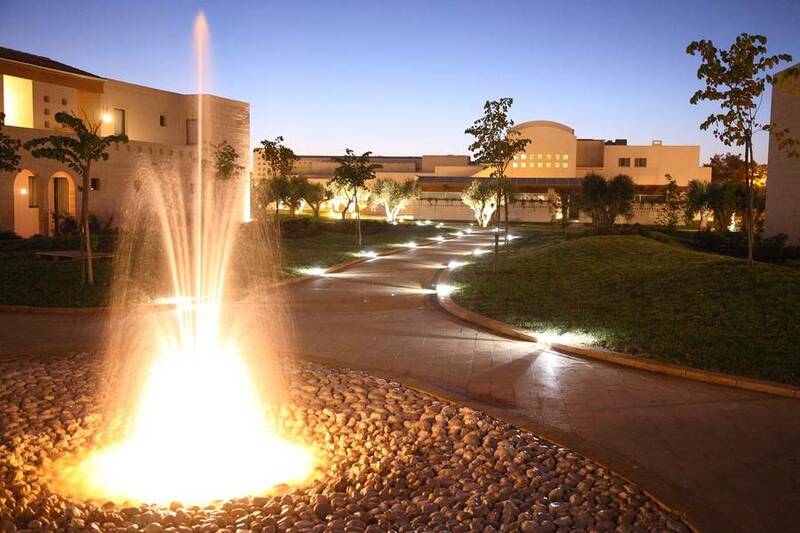 Enlist the services of the wellness center's Anti-Stress Coach! 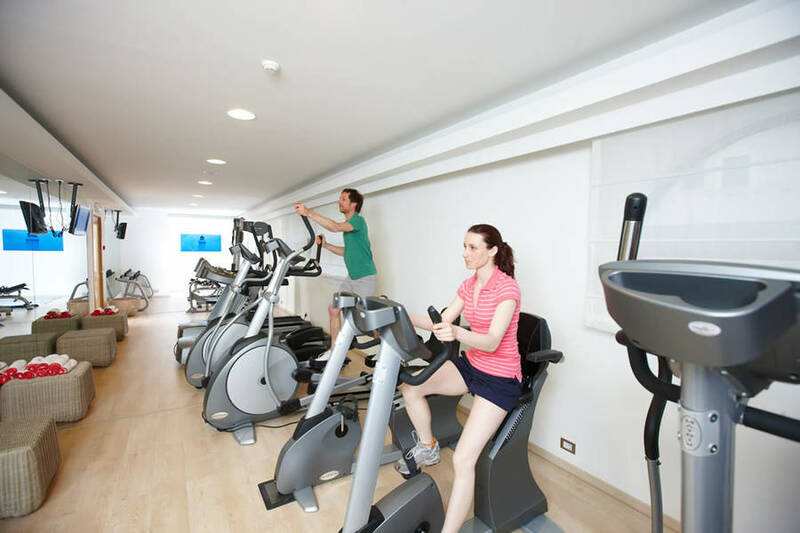 Sporty type? 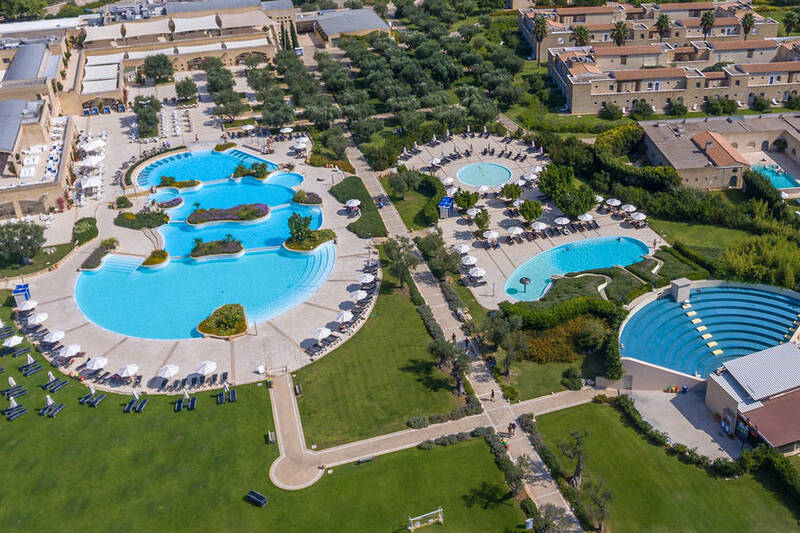 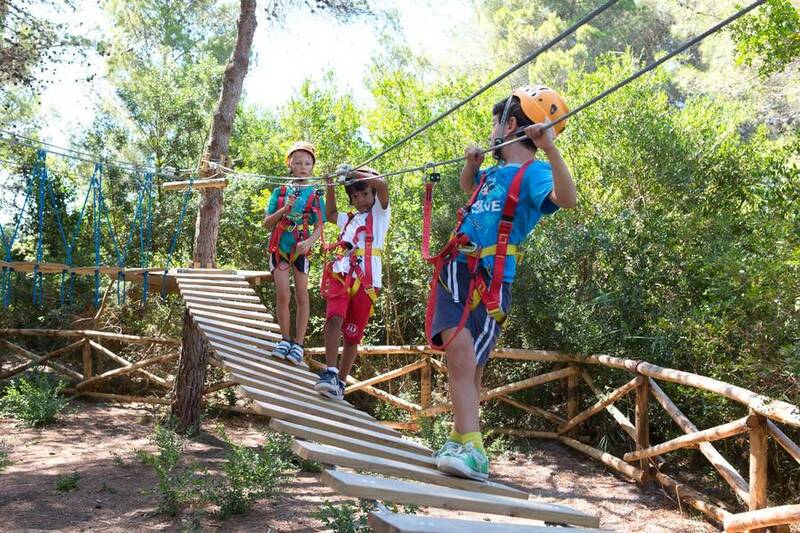 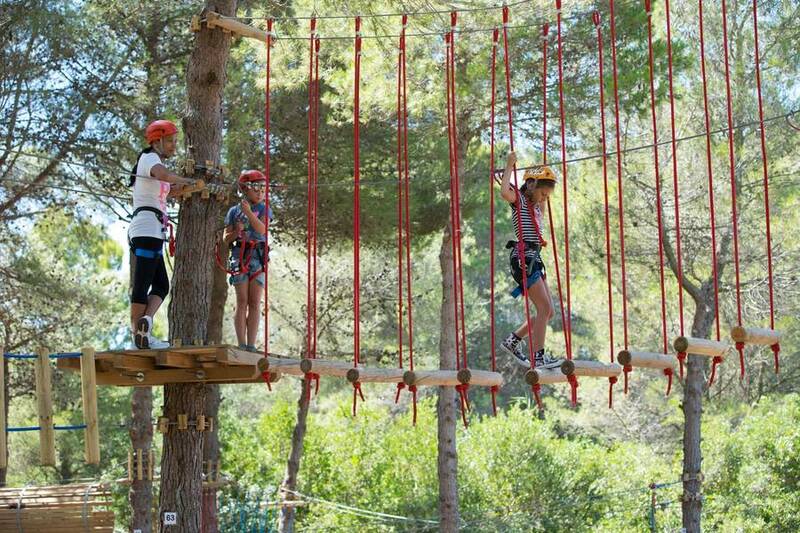 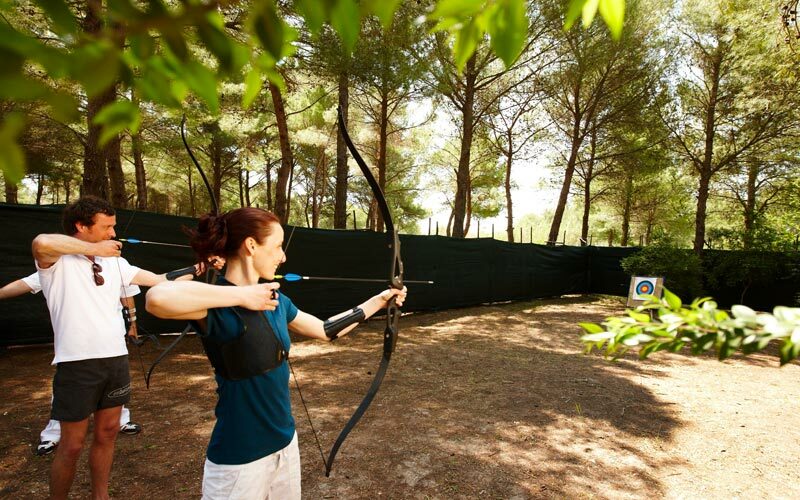 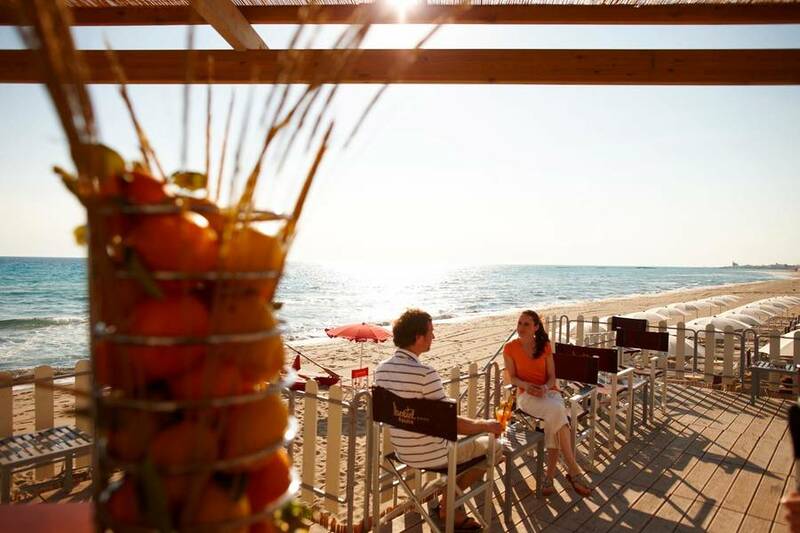 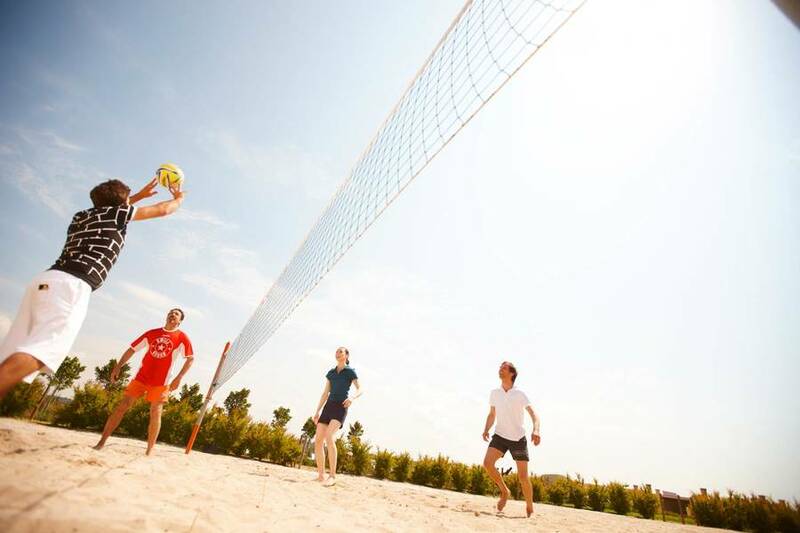 With two tennis courts, a 5-a-side football pitch, jogging routes, a gym and even a tree top adventure park, Vivosa Apulia Resort is the ideal choice for an active vacation by the sea. 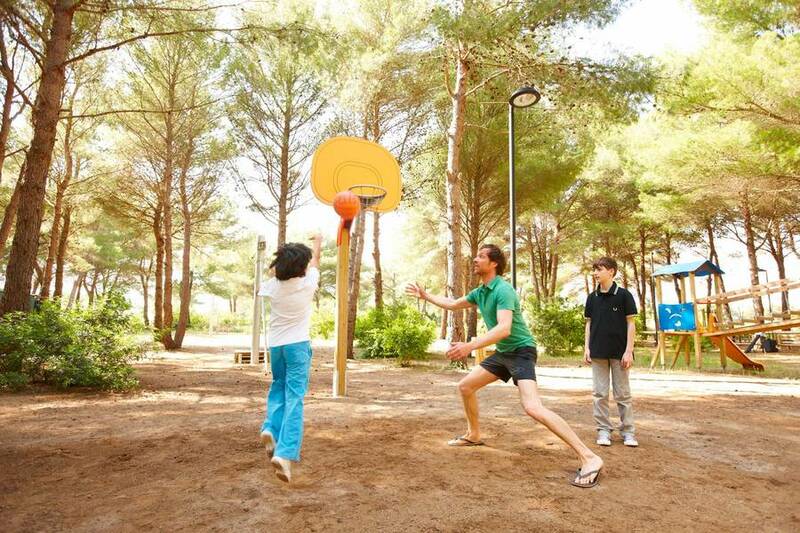 Never heard of Eco Golf? 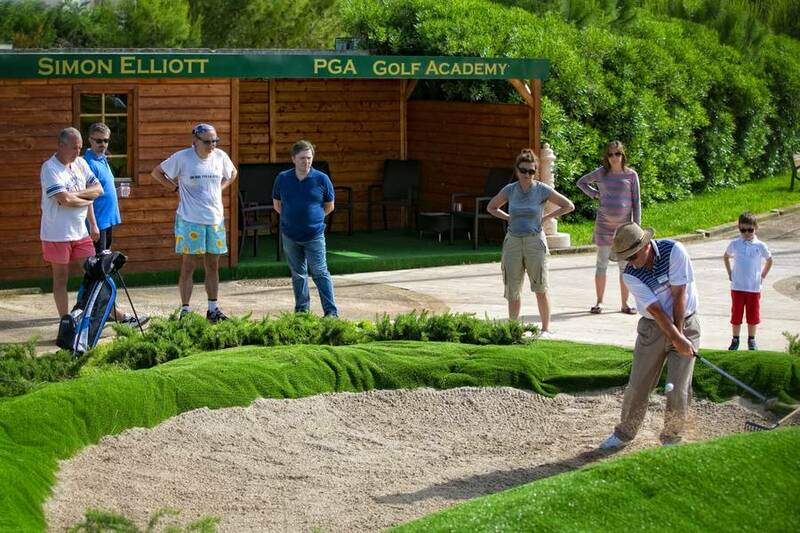 This is your chance to take free lessons with the Simon Elliott Golf Academy - in the park or on the beach (oh, and don't worry if the balls end up in the sea - they're bio-degradable!). 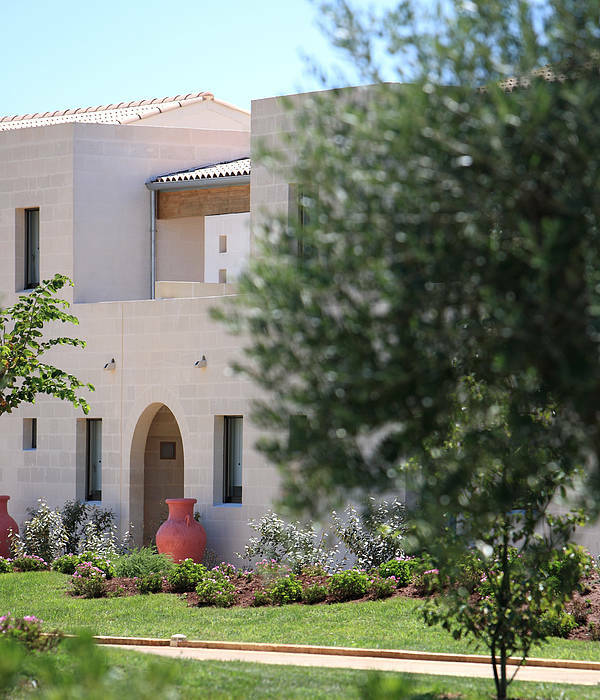 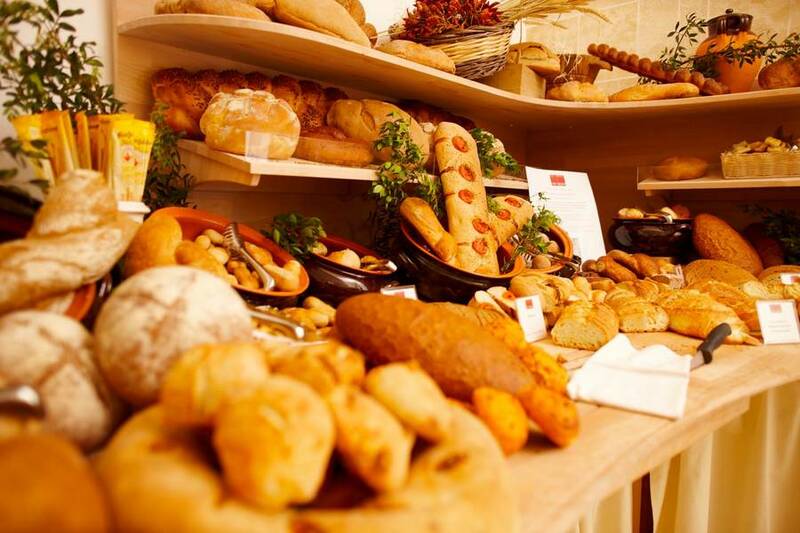 It's only too easy to eat well at Vivosa Apulia Resort - all you have to do is choose whether to enjoy the delicious Mediterranean cuisine served in the main "Via Appia" restaurant or savor the typical dishes of Salento in the intimate "a Puteca"! 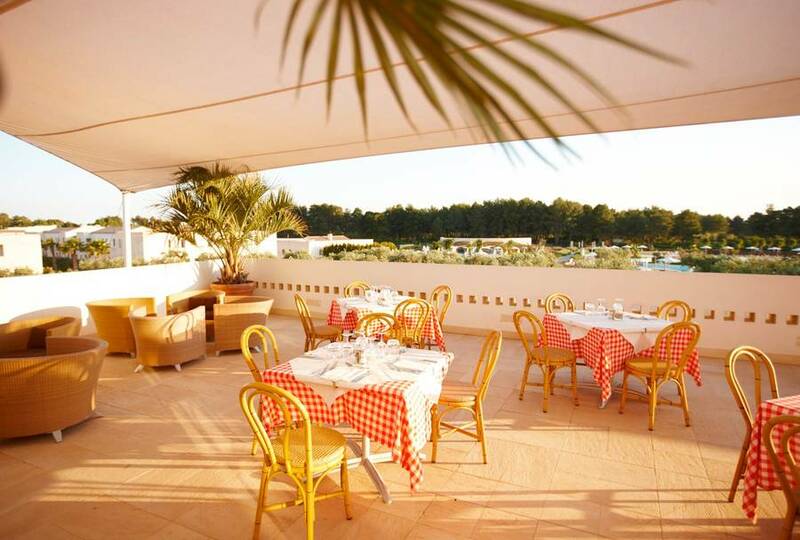 Fancy lunch by the pool or on the beach? 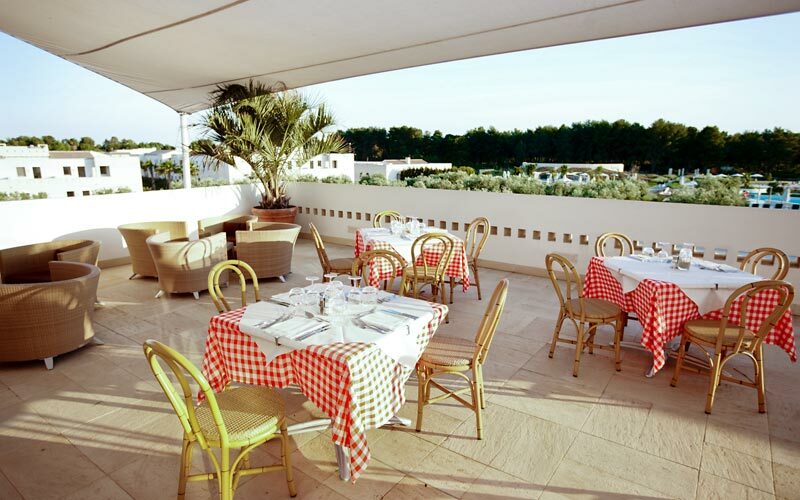 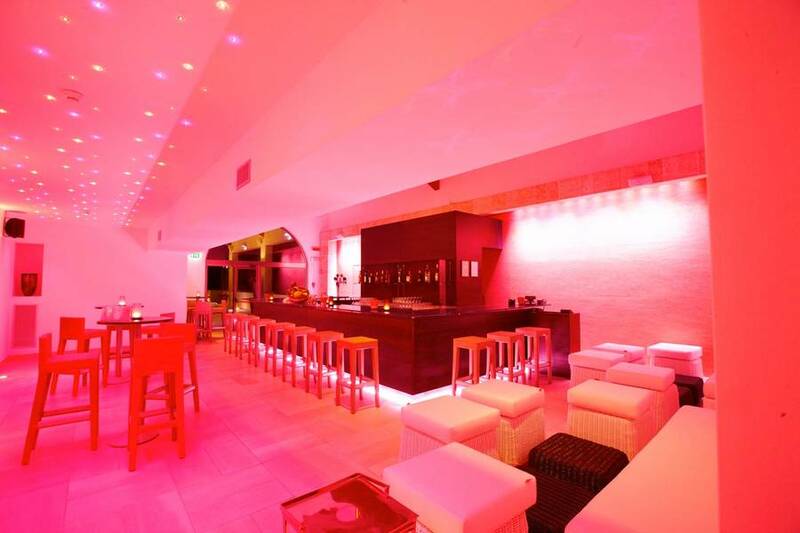 Grab a snack from the Dolce Vita or Scirocco bar! 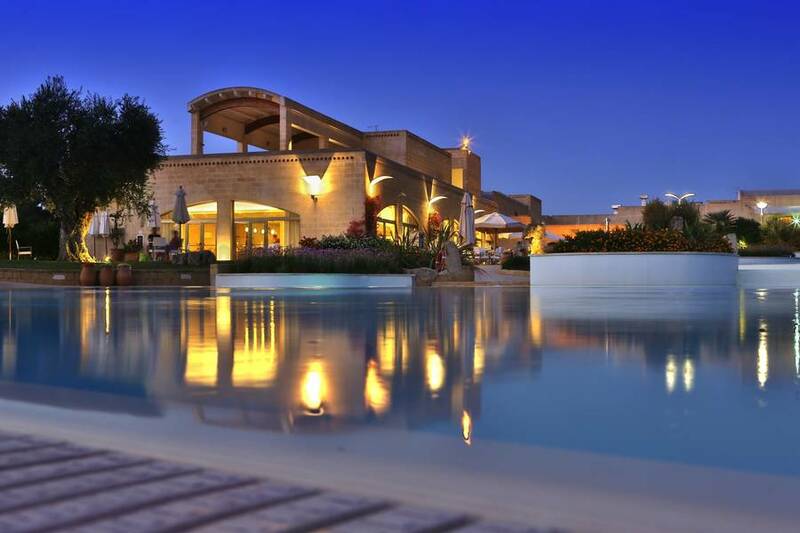 In the last 30 days 127 people have visited this page. 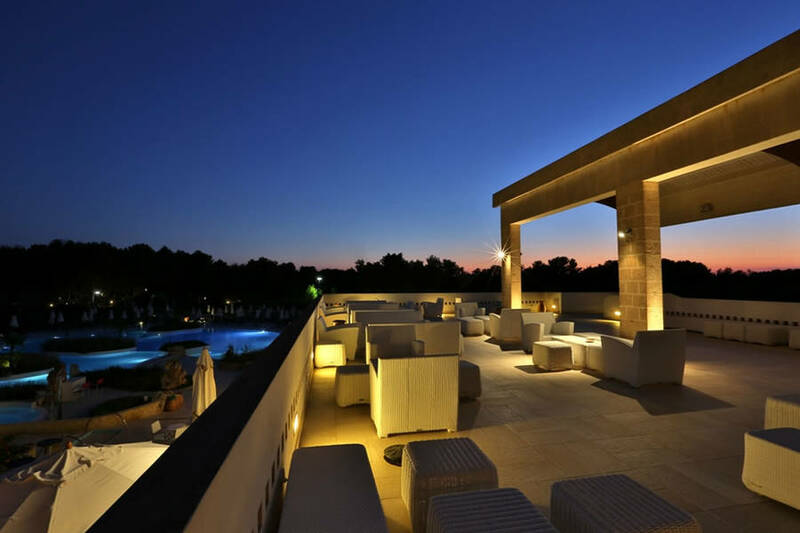 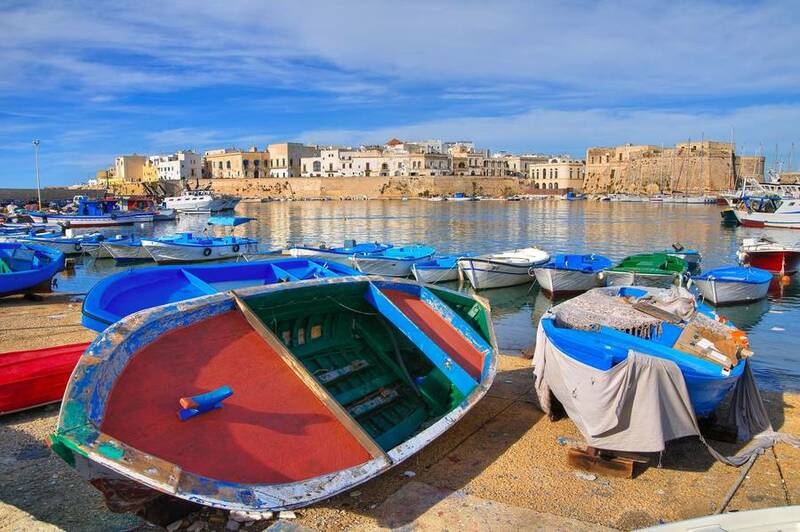 On the shores of sunny Salento, Ugento's Vivosa Apulia Resort lies just a few kilometers away from Santa Maria di Leuca, the town on the southernmost tip of Puglia, between the Ionian and Adriatic seas. 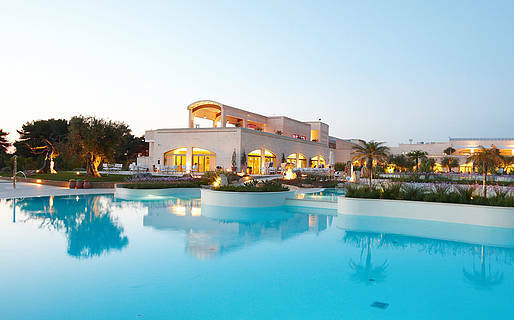 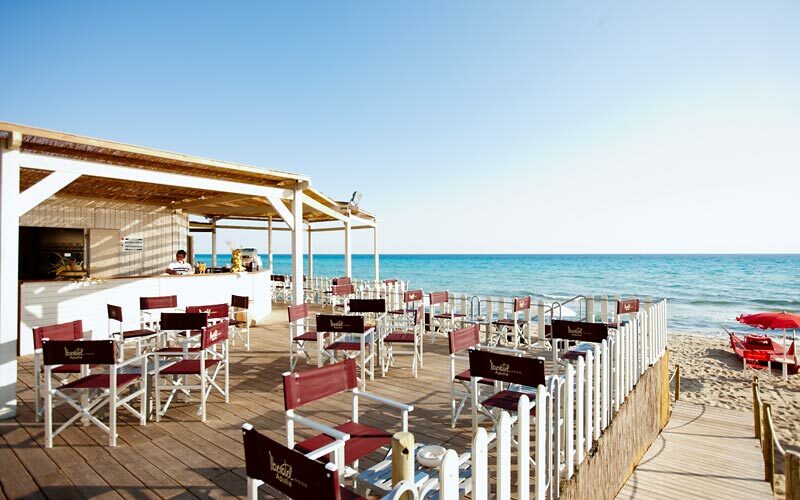 The perfect choice for an unforgettable Italian beach holiday, Vivosa Apulia Resort provides a great base from where to explore some of Puglia's most loved towns and cities too: Gallipoli, Nardò, Galatina, Maglie, Otranto and the city of Lecce, the crowned capital of Puglian baroque, are all less than an hour's drive away. 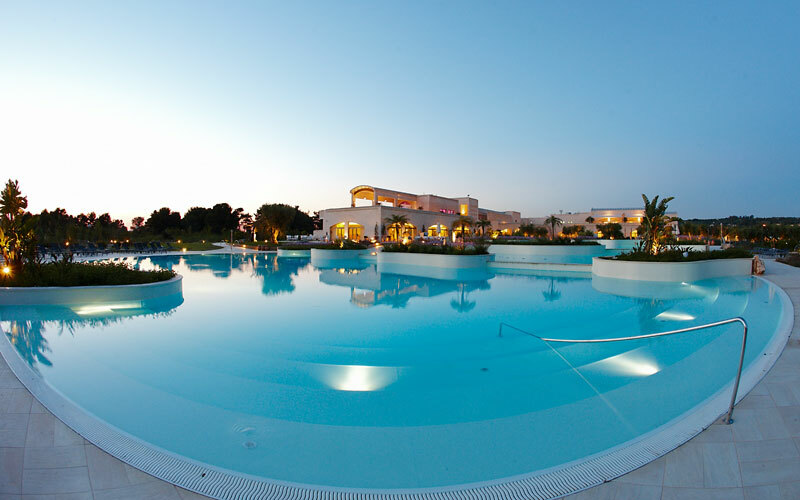 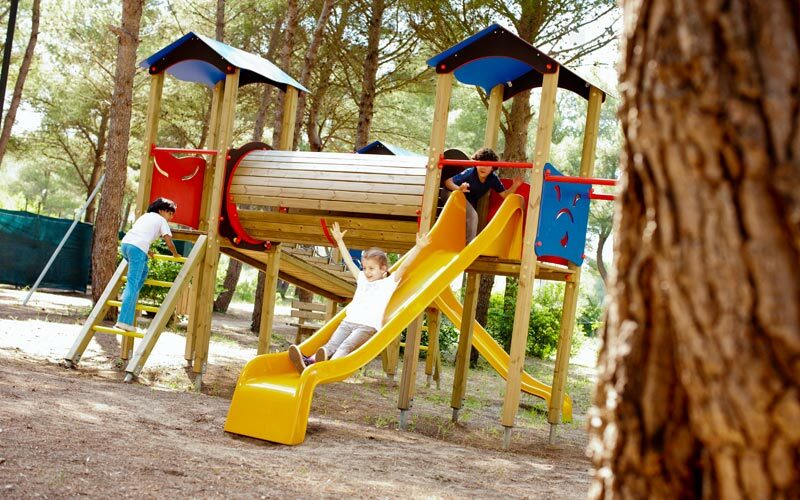 At Vivosa Apulia Resort you will find a modern All Inclusive offer, relax, comfort and funny activities for adults and children. 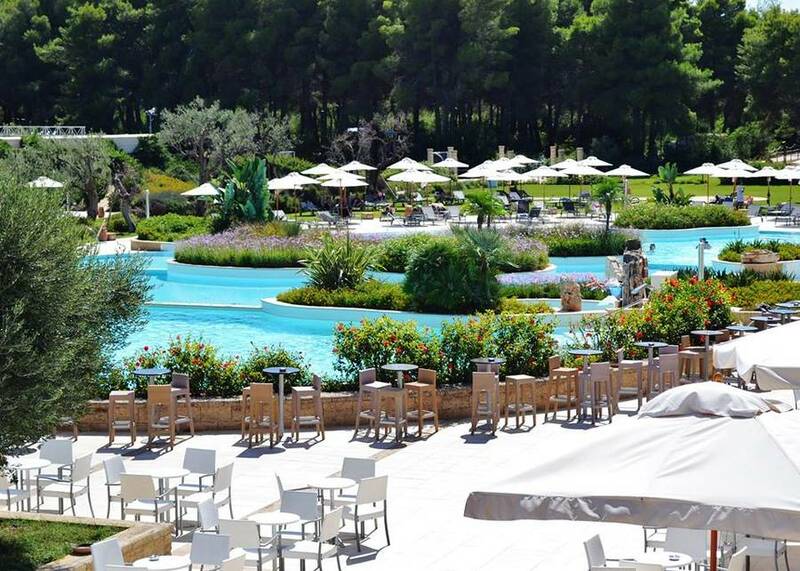 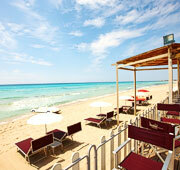 A natural pine forest is all that separates the resort from the turquoise Ionian Sea and its gold-sanded beach.